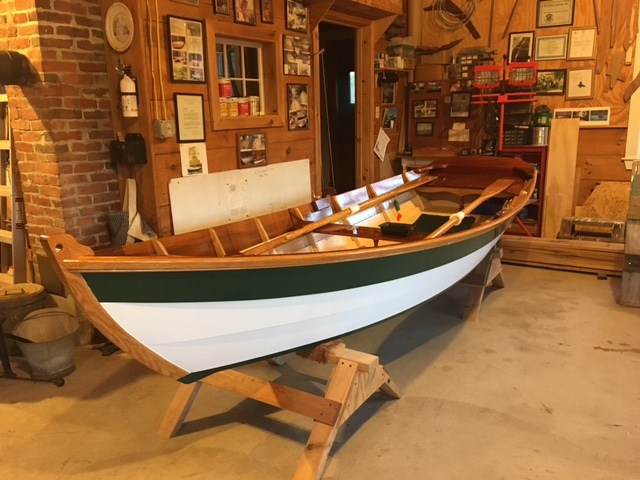 Cedar planking, locust frames/rails/stem, mahogany transom. 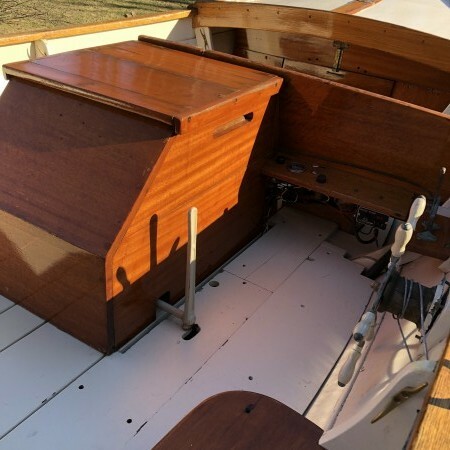 Including in sale: trailer (used), 35 hp tohatsu motor (2016), steering wheel, white cedar floor decks, bronze cleats, automatic bilge pump, anchor and dock lines. 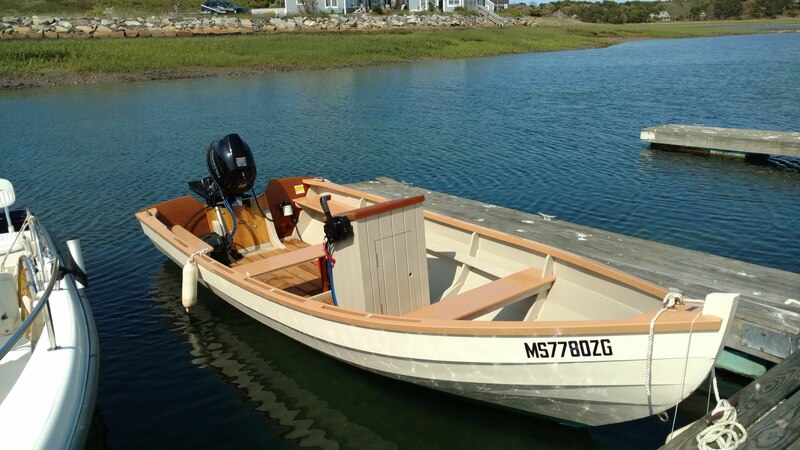 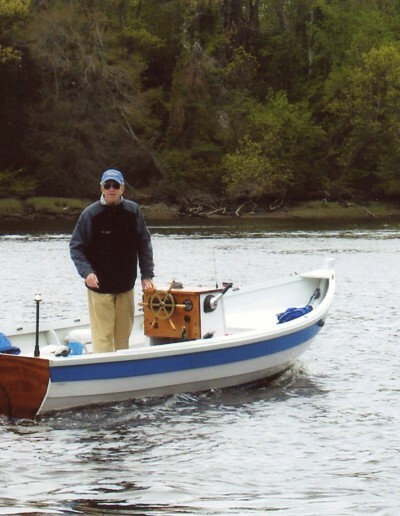 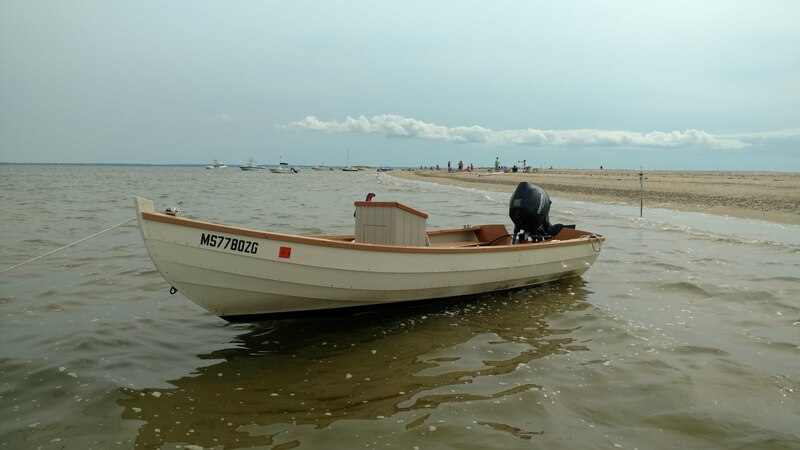 18′ Amesbury Skiff, wood, built 2008, seats 7, fore and aft stowage, custom boat cover. 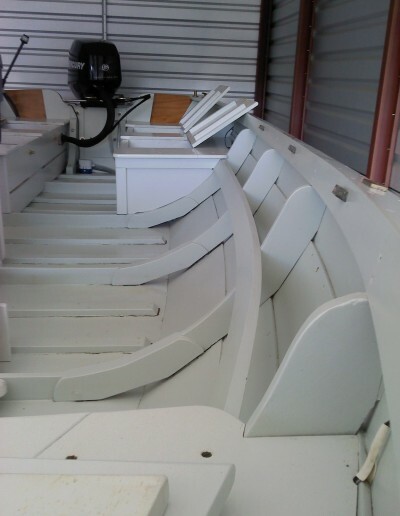 indoor winter storage from ’08 to ’15. 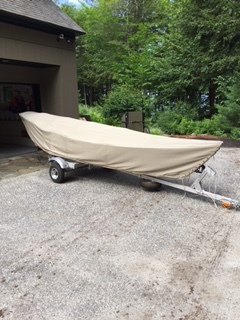 reusable shrink wrap cover, new in ’16. 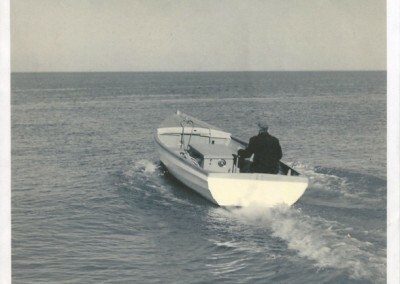 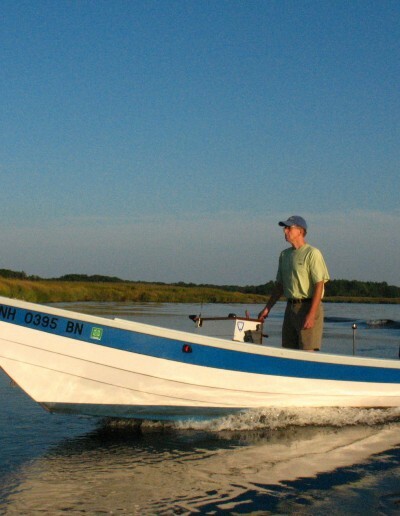 40hp Mercury outboard, 160 hours on engine, power tilt, hydraulic steering. 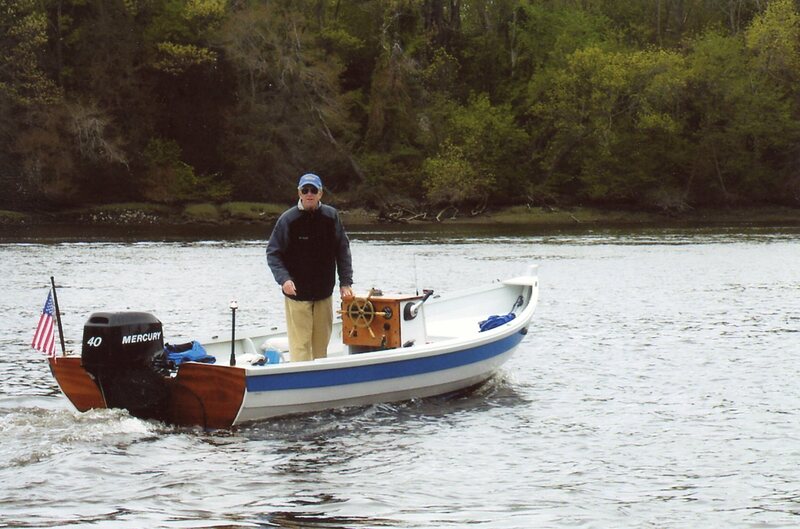 2 gas tanks, bilge pump, vhf radio, depth sounder. 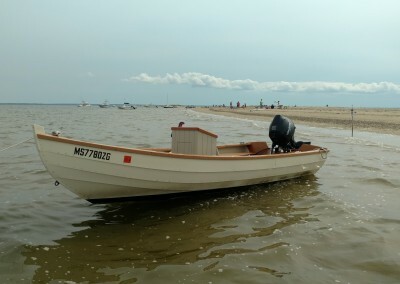 new battery in 2014. 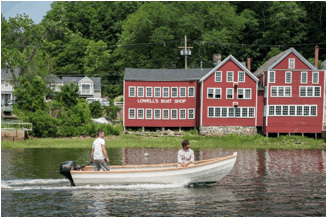 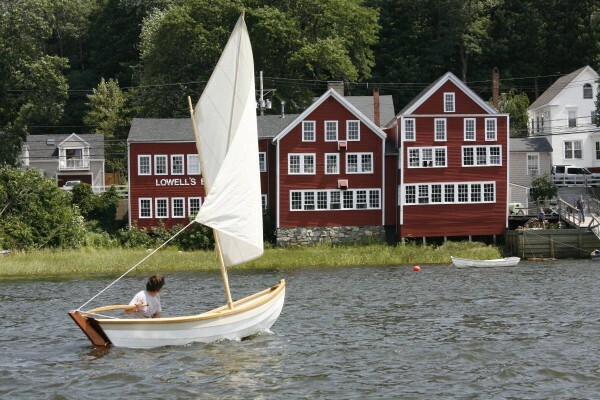 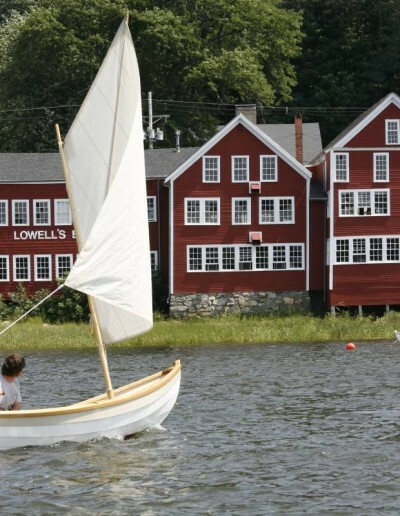 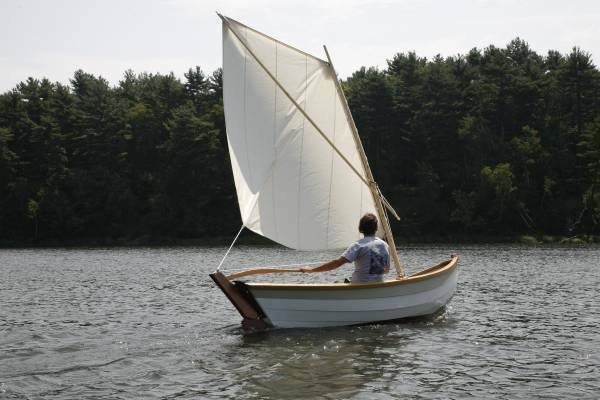 14′ Wooden Sailing Dory built by Lowell’s Boat Shop in Amesbury, Massachusetts, the nation’s oldest operating boat shop. 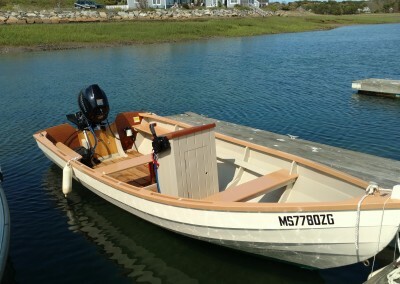 This boat was built in 2010 and has never been used and so is in new condition. 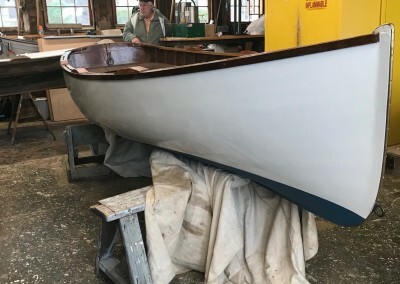 Original cost is $13,000. 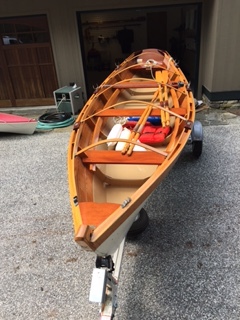 She is cedar plank on locust frame with copper and bronze fasteners. 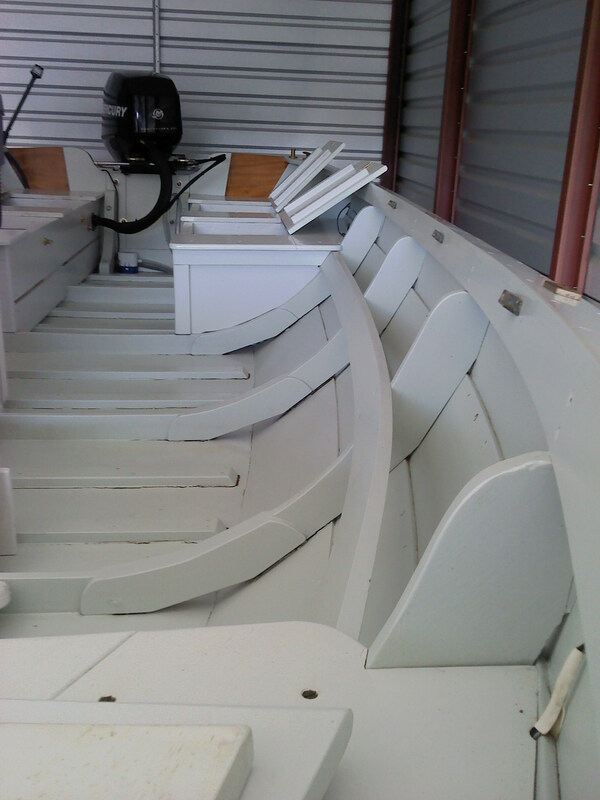 The bottom and garboard have been encapsulated in fiberglass and epoxy for leak free trailering. 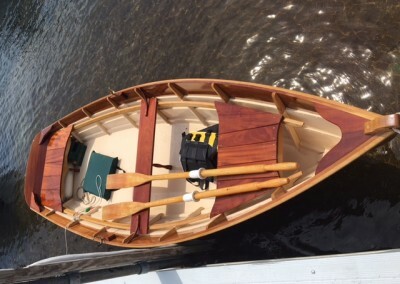 She is sprit rigged, with a dagger board. 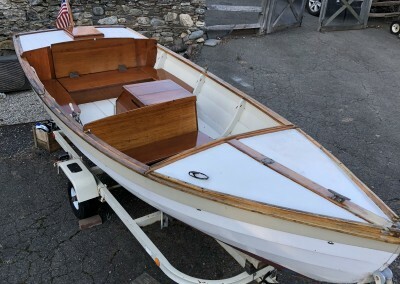 She comes with oars, trailer, and cover. 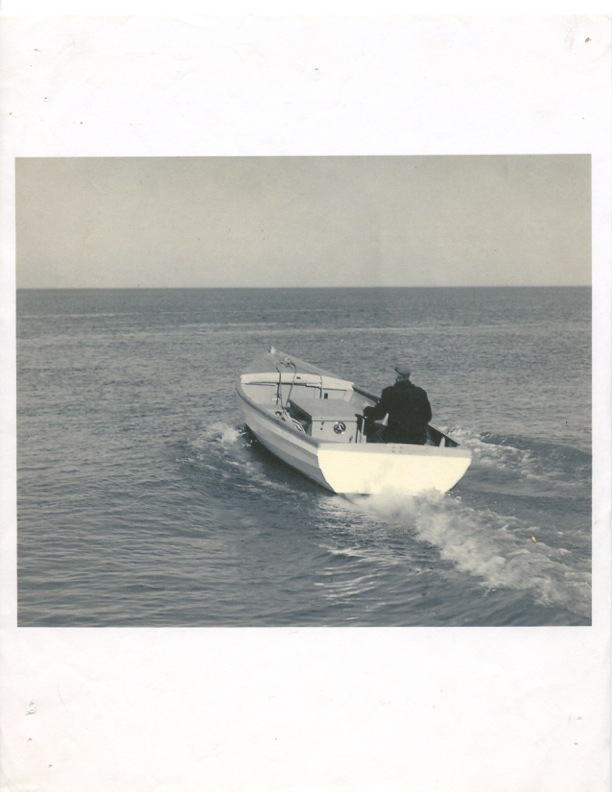 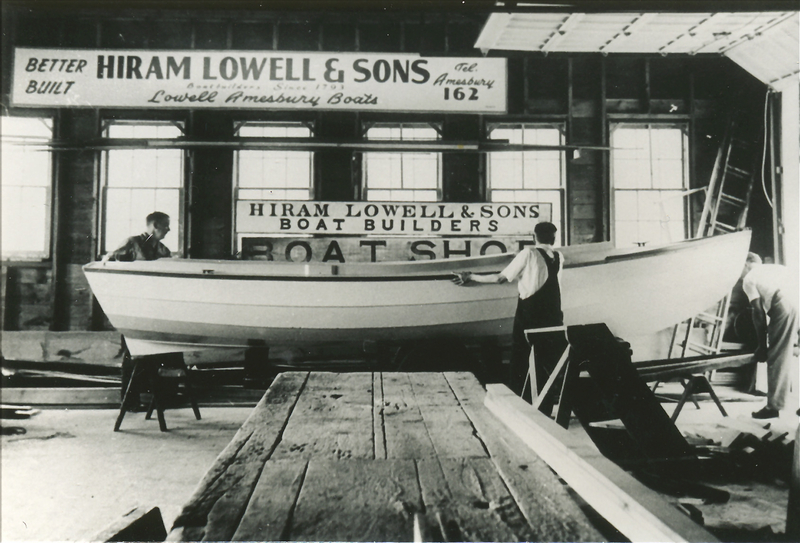 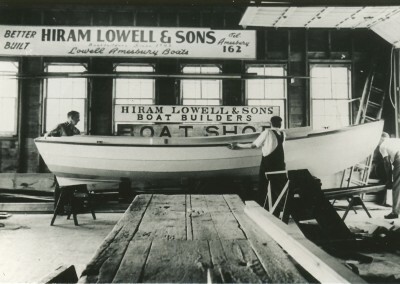 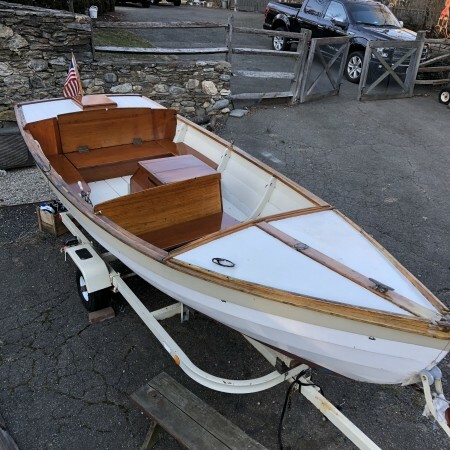 16′ Lowell Boat Shop surf dory; row, sail, motor. 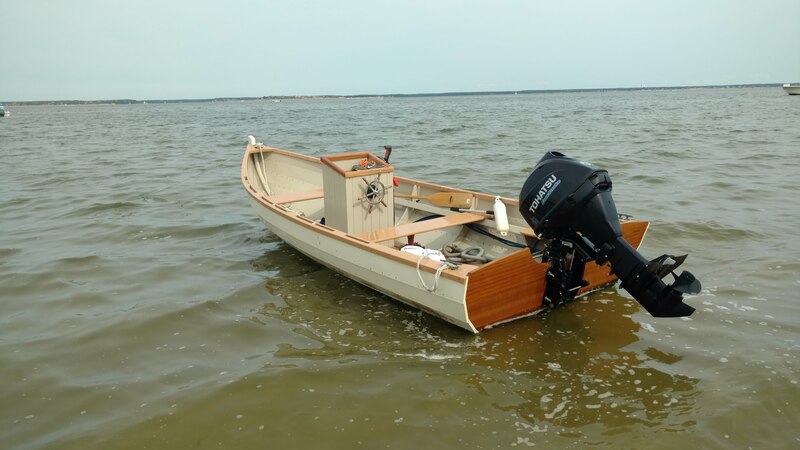 Exact build year unknown. 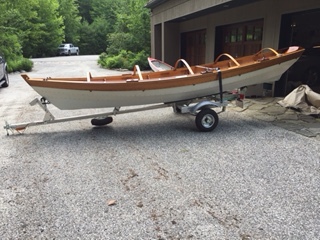 This over 40 year old wood sailing dory is in excellent condition – garage kept. 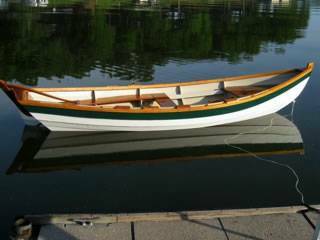 She is White Pine on White Oak frames with Mahogany thwarts, transom, and trim. 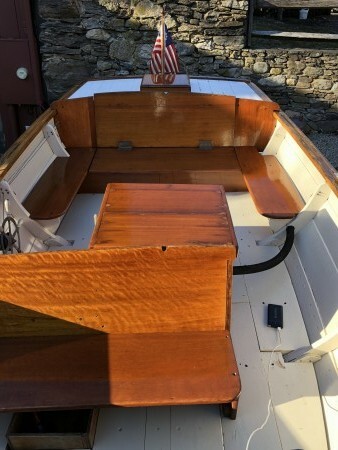 She is Copper clinch nailed. 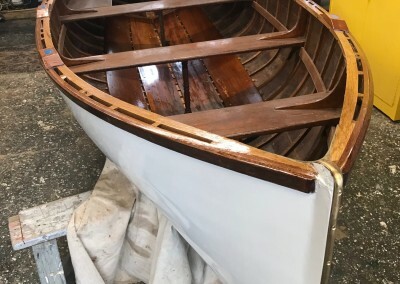 Spars are Fir. 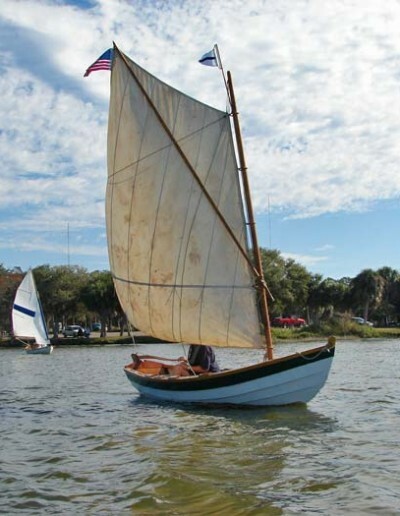 She has a sprit rig for her original Egyptian Cotton sail in good condition with some stains. 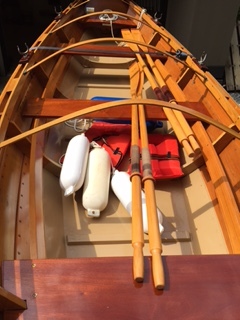 Shaw and Tenney oars (2), bronze hardware, and a custom Continental beach launching tilt trailer (new 2012) are included. 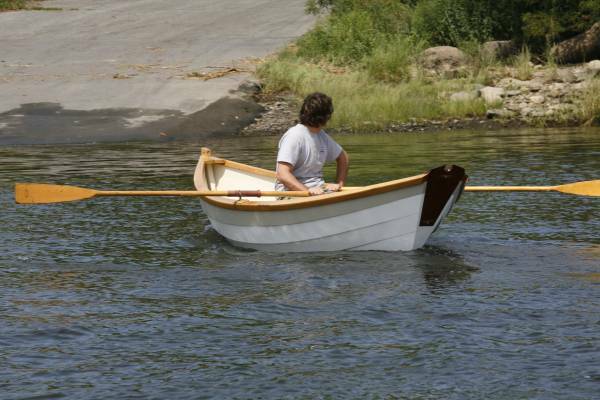 She has an outboard motor well in the stern (no motor included). 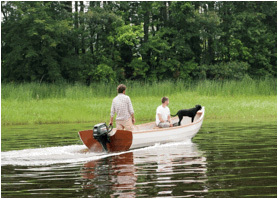 A Torqeedo electric motor is available extra. 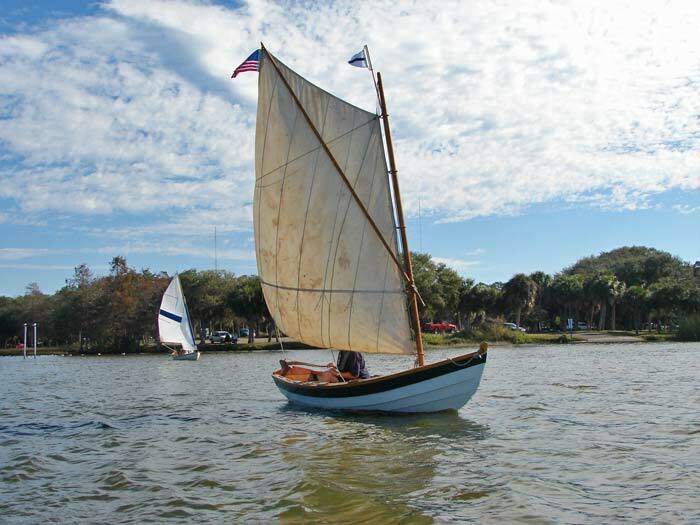 Located St. Petersburg, FL. 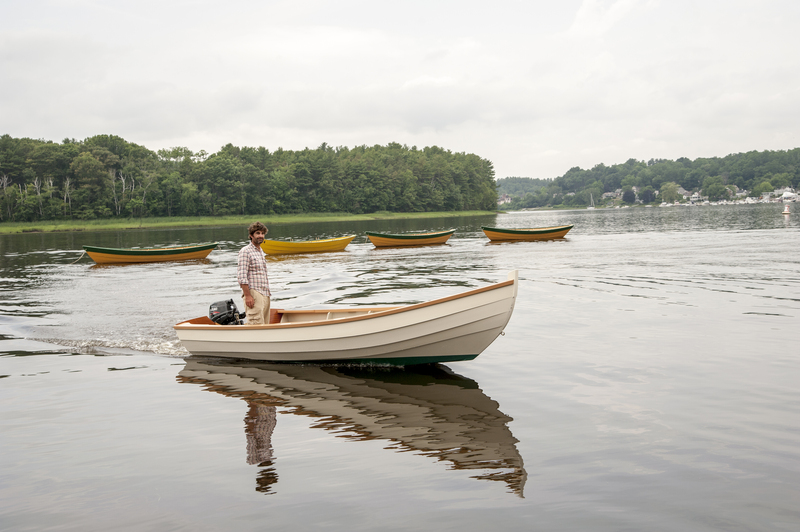 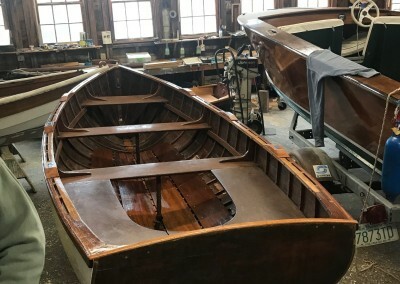 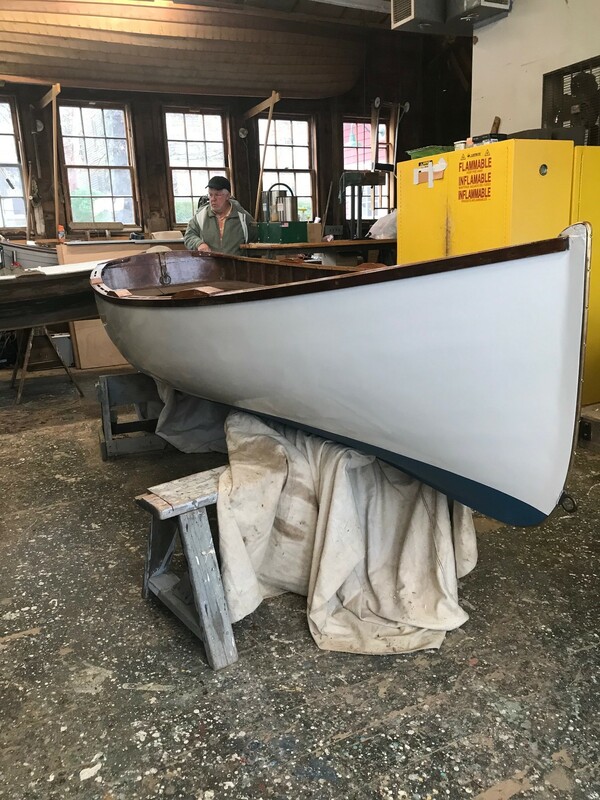 Would make a nice tender for a classic yacht. .
12′ Lawley Tender donated to Lowell’s Boat Shop and lovingly restored by our crew of volunteers. 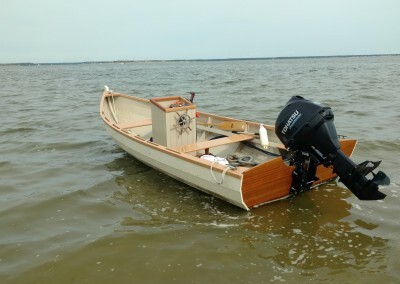 The provenance of this boat is unkown. 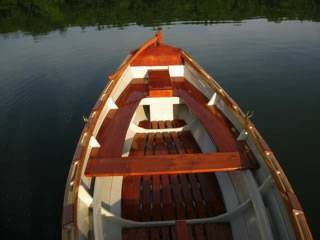 She is cedar on oak with mahogany transom and seating. 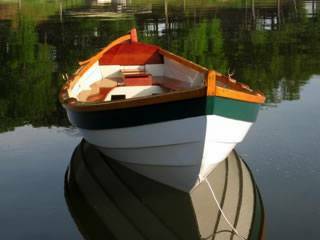 She was well fiberglassed on the exterior and is a trailerable dry boat. 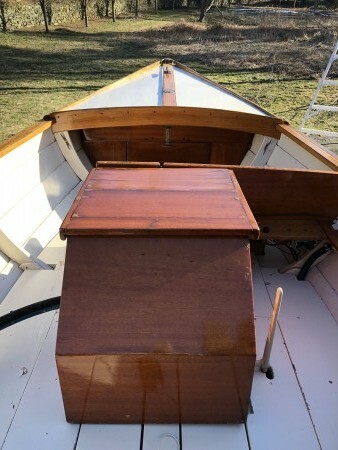 She has new rails and keel in mahogany. 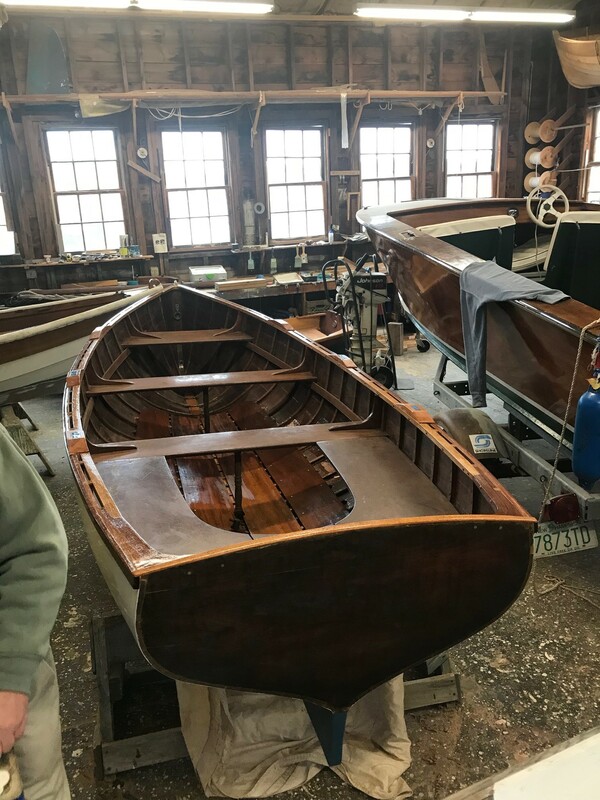 Mahogany transom, seats, breast hook and quarter knees. Built last winter as the subject for an upcoming WoodenBoat Magazine article. 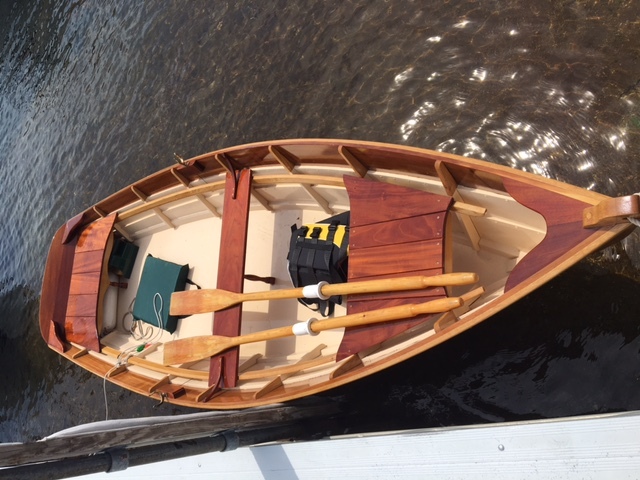 Cedar on Locust, copper and bronze fastened. 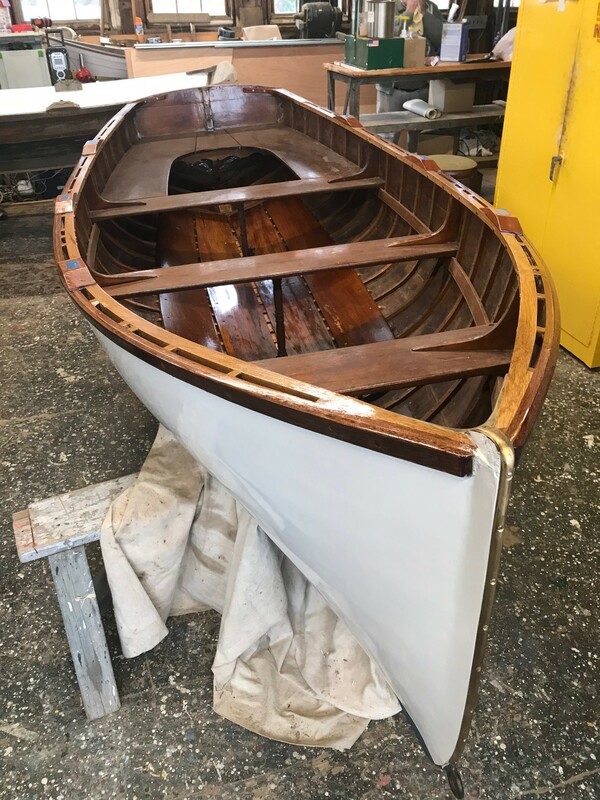 Varnished Mahogany transom. 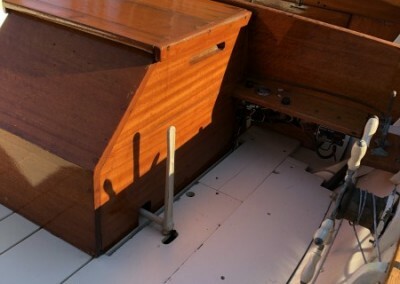 Traditionally caulked bottom. 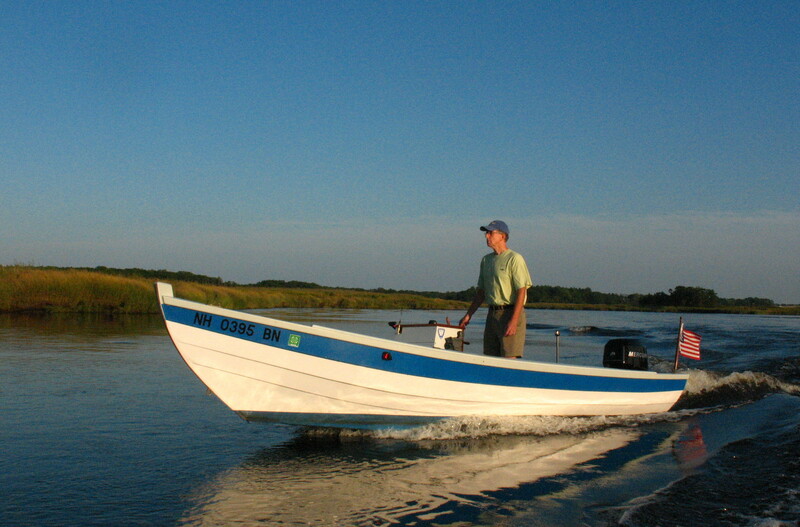 No engine but can be set up with tiller steer or a console can be easily added.